SealGuard, Inc., manufacturer of SealGuard II polyurethane grout, recently received an interesting call from a customer. 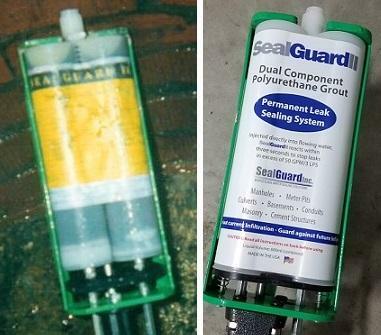 The customer stated that he found a SealGuard II starter kit in their warehouse with a date of 2004 marked on the box. Apparently, the employee who purchased it originally has been long gone. Having a substantial leak in an underground structure, he decided to use the material. The SealGuard II worked to perfection. Even after 14 years the grout reacted and stopped the infiltration. Pleasantly surprised, the customer called SealGuard and purchased more for future projects.